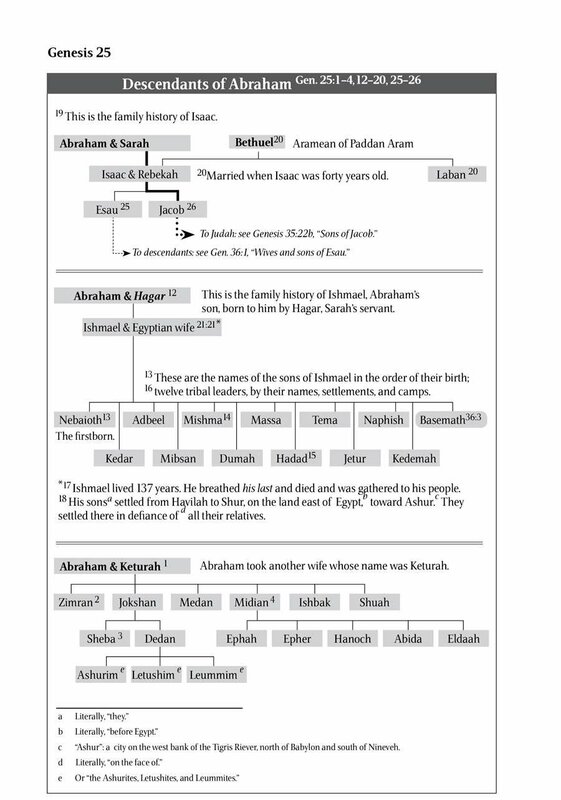 Genealogies are presented as family trees, and the line of Jesus is highlighted. Census numbers are presented in census tables. Law code is presented in outline format as in modern law books. Poetry and theological passages are presented in cascading text. Digressions in the text are separated by callouts so readers can easily see where the digression begins and ends. Define words that are used in the Bible and not used in secular life (for example, Urim and Thummim). Define words that are common, but commonly misunderstood. Provide insights into ancient culture and historical context. Provide a literal translation whenever a thought-for-thought translation is given. Maps – Movements of individuals, groups, and armies are shown on maps that are keyed to the text and located near the section describing the action. Glossary – Words which appear in the book three or more times, and are not commonly used in secular conversation, are placed in a glossary. Table of Persons – A table lists everyone in the book, their key relationships, the important events in their lives, and the chapters in which they are mentioned. Subject Index – A subject index is provided for easier topical study. Table of Contents – All the headings are organized in a Table of Contents so readers can easily locate information. Familiar Verses Listing – Familiar verses are provided in the back of the book with their address so readers can locate them quickly and then read them in their context. 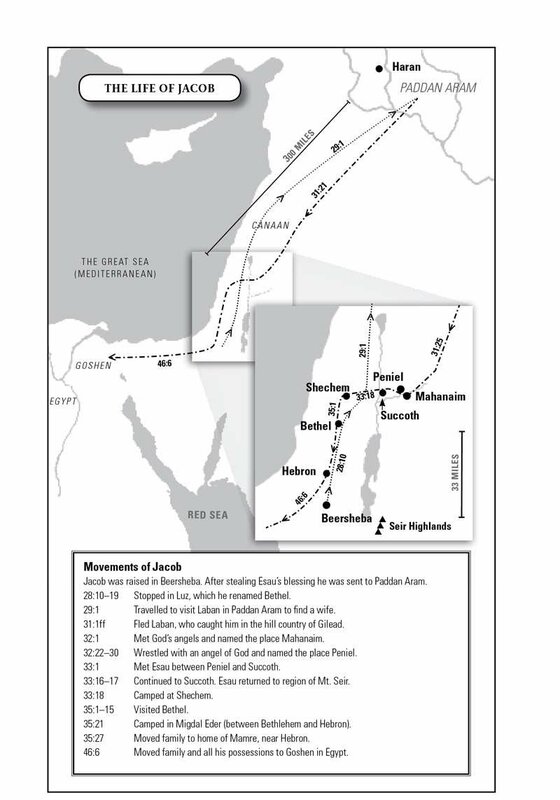 Illustrations – Illustrations enhance understanding (e.g., the temple and its furniture, Nehemiah’s wall).